Easton is the best hockey stick producer. I hope they will go on with hockey sticks, and we'll see new super hockey sticks soon. Great stick, light, and fun to use! I bought this stick based on the advice of my nephew. He LOVED his Easton and told me to try this one. I went with a more aggressive curve (usually use a Bauer 88) which has been a bit different for sure but I love this stick. It's got a lot of snap in the shot and this stick is light. The clear coating they use is a good in between of the matte finish and the grip finish. Try this stick, you won't regret it. I've been using Easton Synergy sticks since they came out. Easton fell short on the Synergy line after the SE16. They completely redeemed themselves on this stick. The stick is very light weight and has an amazing pop. I love the way the puck feels on the blade and how quick it comes off shooting also. Do yourself a favor and get this stick before they are all gone. The only decent stick left on the market, play 3 times a week in a couple of rough leagues that really test the sticks durability and am still on my first stick 4+ months in and haven't even had to switch to the second one yet. Got mine non-grip 85 flex with E3/sakic 5.5 lie. 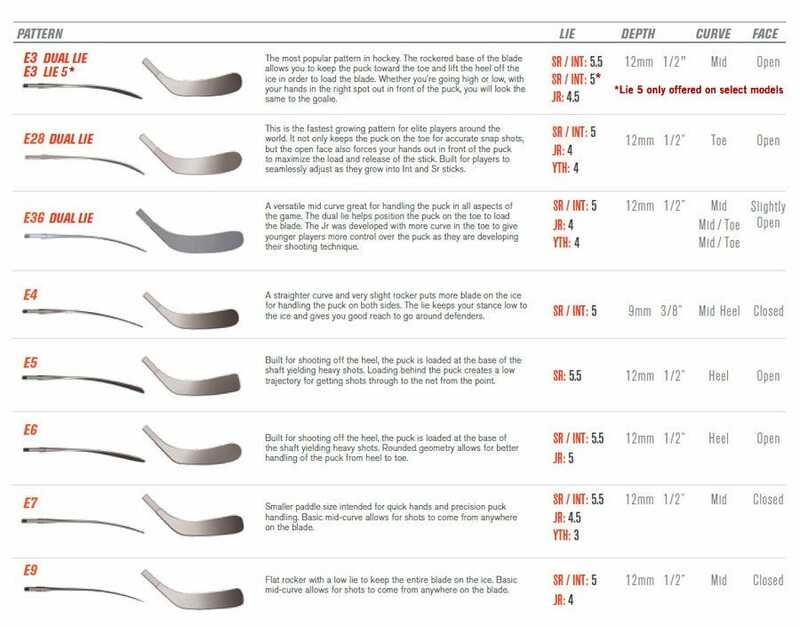 If Bauer completely closes the Easton stick line then I'll just have to start shopping on eBay for used sticks or prostocks will not use any other major brand.